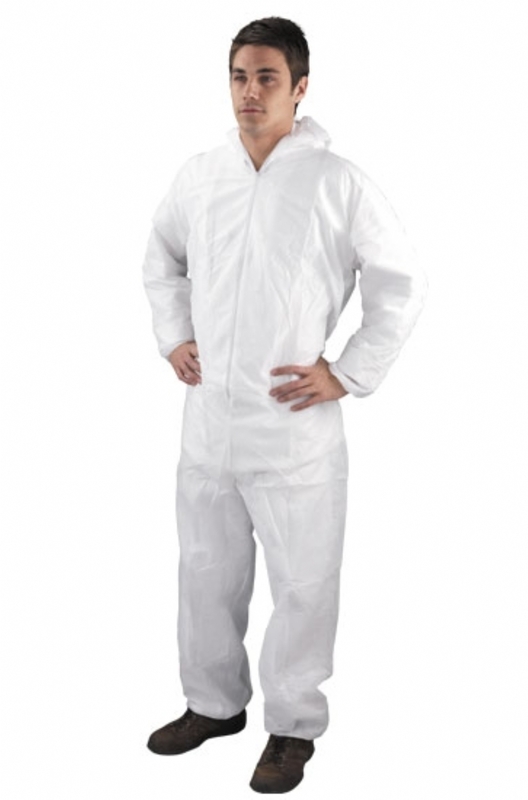 Non-woven polypropylene coveralls which provide hygienic protection against dirt and non hazardous splashes. Elasticated hood, wrists, ankles and waist, with a zip fastening. Order 5 or more at a price of £37.00 per item.